Accredited as a Specialist in Business Law and a graduate of the University of Cape Town (South Africa) and Deakin University (Australia), Harvey Bowlt is a well-rounded, qualified and experienced commercial lawyer. He draws on his experience, both locally and internationally to give his clients the best possible service. Graduating from the University of Cape Town (South Africa) with a Bachelor of Arts (BA) 1981, and Bachelor of Laws (LLB), 1983, Harvey Bowlt enjoyed a successful career as an Attorney, Notary and Conveyancer in South Africa. 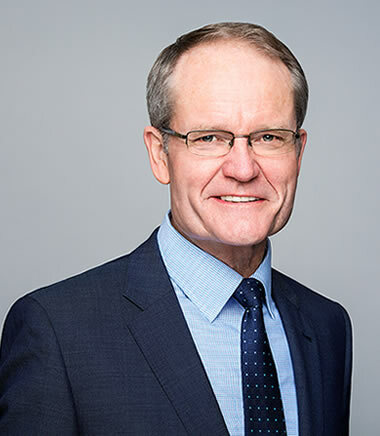 Harvey completed his articles of clerkship with Guthrie & Rushton Attorneys (1984-85), before becoming a Partner in 1988, specialising in High Court litigation, commercial work and conveyancing. Prior to migrating to Australia in 2004, Harvey undertook further study at Deakin University to qualify for admission as a Legal Practitioner in Australia, being admitted as a Legal Practitioner of the Supreme Court of New South Wales (2004), the High Court of Australia (2005) and later as an Accredited Specialist in Business Law with the Law Institute of Victoria (2008). Most recently Harvey has enjoyed success as a Senior Associate in the Commercial Department of Hicks Oakley Chessell Williams Lawyers in Melbourne (2006- 2016) before establishing his own practice, in Melbourne's Eastern suburbs, Bowlt Commercial Lawyers. When not working, Harvey enjoys squash (both as a player and top level referee), bushwalking, camping, military history, reading a good book and watching virtually any sport that is played well. He is a fishing tragic.